It has been almost a year since I’ve purchased any special facial products for myself. I used to have a very particular beauty regimen. With most things I buy, I am not a brand snob, but when it comes to cosmetics I definitely have my favorites! My daily facial routine looked like this: Liquid Neutrogena Facial Wash, St. Ives Apricot Scrub, and Estee Lauder Day Wear Moisturizer (though with a $40 price tag this was always given to me as a Christmas gift). But as I began to pull our purse strings tighter, I simply couldn’t justify spending so much money on my own vanity. If I couldn’t get it for close to free with coupons, I wouldn’t buy it. And when I ran out, I ran out. Eventually, my stash was gone and I was determined to learn to improvise. Since my bathroom cabinets were still stocked with tons of baby wash I’d snagged for pennies with coupons, I’ve been using that to wash my face. I’ve actually been really pleased using Johnson’s as a full facial soap. I can even use it to safely remove my eye makeup since it’s “tear free”. Everything continued along just fine, until I ran out of my favorite exfoliating scrub. I could really tell a difference in my skin as month after month went by without my Apricot scrub. Oh how I longed for that extra polish! I did my best to scrub deeply with a wash cloth, but it just wasn’t the same, and you could see the difference. My poor face wasn’t so clear anymore. And then, last week, I got a gift card to Target. Woo-hoo! Straight to the cosmetic department I went. I snatched up my Neutrogena, some Apricot Scrub, and some eye liner. But as my total rang up I was astonished at the price, over $17!! For just these three things! Forget that! I said to myself. Back to the store they went. I’ll save that gift card balance to use with coupons for better deals on other things. I just can’t blow that kinda dough on this face. When I got home I was determined to find a better alternative. Come to think of it, I was pretty turned off at all of the chemical ingredients my favorite things had in them as well. Do I really want to be absorbing that junk into my body? Surely there was a natural way to cleanse my skin. As expected, a simple search quickly led me to tons and tons of homemade beauty recipes, some more extravagant than others. I still have a year’s worth of baby wash for general cleansing, but I really needed a good recipe for face scrub and moisturizer. After combing through several, and picking the ones that sounded good to me, I gathered my ingredients from the kitchen and headed to the sink. I found this amount to be exactly enough to cover my face and part of my neck, without any leftovers to be wasted. I expected the mixture to be very sticky, but I’d washed my face with very warm water before getting started, so the moisture remaining on my face watered down the honey and made it glide nicely over my skin. It wasn’t sticky at all. The scrub was nice going on, and did a great job exfoliating! I rubbed it all over my face, and massaged it in well. (There may have even been a couple of times when I just couldn’t resist licking the sweetness from the corners of my mouth!) It washed off easily when I was done. End result: nice, smooth skin. As soon as my face dried, though, I really needed to moisturize. You are supposed to use Extra Virgin Olive Oil, but I only had Pure Olive Oil. To use this as a moisturizer, I wet my face again and left it slightly damp, then dipped my finger into the olive oil and rubbed it all over my face, massaging it in. If you have oily skin you might want to avoid your “T” zone. It felt a little thick and greasy even though I only used a tiny amount, and I fully expected to break out in horrible acne by the end of the day. But actually my face was nice and smooth, and felt very hydrated. Next time, I’ll try to use even less oil though. I’ve been very happy with the results of this new facial care combination. I’ve also been using Witchhazel as a toner. One thing caught my attention in particular after using these natural alternatives. Not long after washing my face I was holding baby Xia, and pressed my cheek against hers in an embrace. Immediately I realized that I didn’t have to worry about what chemicals might rub off of my face onto hers. That was a comforting feeling. Recessions Proof Beauty: 10 Homemade Facial Scrubs– just a forewarning, I read elsewhere that the baking soda scrub can really dry out your skin. What about you? Have you been using the same products for years? Do you have a favorite beauty recipe that you can share with us? Or maybe you have a beauty recipe flop to warn us about! I’d love to know what you do to keep your skin looking its best. I just stumbled on your website and I love all of the articles I have read. This one is my favorite so far! I used to work for a high-end cosmetic company (I won’t give the name) and the products are ridiculously overpriced, even with an employee discount. You would be scared after reading all the extra ingredients, ie chemicals, in those beauty products! (Urea, for example, is common in these products and it comes from animal urine) I can’t wait to try out these natural skin care routines! It will be so much better for my skin, as well as my pocket book. 🙂 Thanks for the wonderful ideas! Use leftover coffee grounds not only for your face but your body!!!! I use a mix of coffee grounds with olive oil, and some kind of fragrance…..while you are washing it does feel funny however, when you are dried off you feel soooo soft and not greasy…..if you want a real pick me up for dark eye circles use caffinated coffee….also helps over time with varicose veins!!! Amazing! I’ve been told I look 5 years younger within the first month of making and using delicious, healthy products from my kitchen. I make a scrub and a mask as well as an all over mouisturizer and hair conditioner. FACE SCRUB – mix together, coconut oil, raw sugar, and raw honey. Store in a little tub or container in your shower. After rinsing it off, follow up with a very gentle , milk and natural cleanser to get any excess oil off your face but do not remove all of it. I use this every day on my face and sometimes my chest. FACE MASK – mix together, coconut milk and raw honey. Apply to your face and allow it to dry. Leave it on as long as you like, rinse with warm cold water Do this 2-3 times a week. You can use the coconut milk as a conditioner for your hair and the coconut oil as a moisturizer on your legs after you shave. I was wondering, on the link to the Recession proof beauty , there is an oatmeal scrub. And do you cook the oatmeal when you make the mask, or do you make the mask with the oatmeal raw? Thank you! I would think not cooked. But I haven’t tried all of these recipes myself. Using a very small container, put a teaspoon of sugar (white, brown, whatever – just not confectioners), use just enough EVOO to cover and saturate sugar. Add a drop or two of fragranced oil if you want (I like tangerine). Makes just enough for a scrub – no waste. I mix up a larger batch to keep at the kitchen sink. I have recently started using coconut oil on my face also. It’s a bit heavy for day for me, but I love to use it at night. I’ve tried a bunch of different homemade facial products, but my favorite is plain sunflower seeds ground up in a coffee grinder or whatever you have. They’re very rich in Vitamin E and they exfoliate as well, but the real bonus is that they last awhile at room temp. Most homemade products have to be refrigerated, in my experience, and I would always forget to get them out of the fridge, or use something else because they were so chilly! 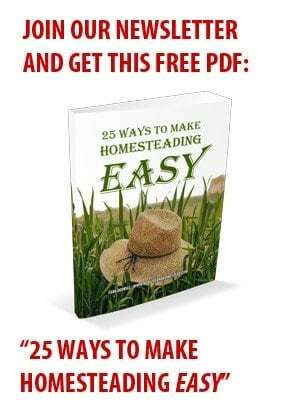 It’s also easy to quickly grind up more seeds as needed–no complicated recipe! I’ve used olive oil as a conditioner for my hair for quite some time now, since it’s curly and frizz-prone, and that’s made a huge difference. I used it as a moisturizer for my face, but it made me break out a little. I recommend the book Beauty Secrets of the Bible – it has the recipes that Esther used on her one year beautification ritual, and has a 31 day devotional, which was amazing. I checked it out from the library twice, and still didn’t have a chance to finish it. It talked about everything from the foods we eat to the goat milk face wash she used. I’ve used Burts Bees for a while, but just realized they are owned by Clorox, so even though it’s made locally, I won’t be buying it anymore. And as another commenter mentioned, it’s not as great as it used to be. Witch Hazel does a great job as an astringent for me, but I’m definitely using your brown sugar/honey scrub, made of local, raw, honey, starting tomorrow. Makes me wish I still had my bees. Oh, and the goat milk soap I buy at the farmer’s market (since I don’t have any goats now) is amazing. I use the lavender in the shower, and the coffee scrub for shop days, and the sportsman soap for hunting. What an interesting post & some great ideas in the comments – I may have to get some jojoba oil. I only use moisturizer & soap (which I buy from a lady who makes her own). Since I started with the homemade soap, I have only had to moisturize about once a week, however I am eager to try a natural alternative to the storebought moisturizers as the list of chemicals terrible. I currently have a load of facial cleansers that I’ve gotten for free after coupons so as soon as I run out of those I will definitely be keeping these recipes in mind! Great post!!! Michelle – Jojoba oil is a great moisturizer because it is the closest match to the skin’s natural oil that is derived from a plant. I just recently starting using aloe gel on my face in the morning and in the evening each day (soaks in completely and immediately–you wouldn’t know you’d put anything on within about two minutes or less of putting in on).Also starting using a little bit of coconut oil once a day, just two or three times a week. That does tend to stay oily for awhile, so I do it on mornings when I’m going to be staying home awhile (which is most days anyway). My skin immediately started to feel and look better, and the fine lines have “plumped” back out (I’m 44, so I have started to get a few fine lines!). Totally natural and so far very, very pleased. Apricot scrub is one of the worst things you can do to your face. Microscopically, there are sharp, jagged edges to the apricot kernals that rip and tear your skin. This causes your skin to lose valuable resources to repair the skin, instead of focusing on the production of collagen and elastin. Our production of collagen and elastin diminishes as we age – so you do not want to speed up the process. Sugar scrubs are a great alternative – also, Dr Oz featured a scrub that was basically just a couple of aspirin dissolved in water to form salycilic acid. To use it, drop one or two drops onto your still damp palms, rub it around the palms of your hands, and then rub them onto your still damp face. This keeps it from being too greasy. Bethanie – Theres no need to refrigerate that combo of ingredients, but it wont store forever. Just make a small batch if you can. Both honey and coconut oil shouldnt be put in the fridge, and lemon helps preserve so its fine out too in small amounts. Id definetly avoid ever microwaving again either lol Im guessing that could be the cause. Dont let this problem deter you though! Natural homemade products are totally worth it (and way cheaper than Burts Bees. Also, more natural. BBs isnt nearly as pure as they once were). Good luck. I only use Burt’s Bees Products, so I thought I would try making my own to save some money. I tried a facial moisturizer of honey, lemon juice, and coconut oil. It worked great the first time, but then it said to refrigerate. Well, as you can probably guess, the coconut oil solidified. The next day when I went to use it, I thought I would just pop it in the microwave for a couple seconds…it was sticky! The next day I tried sitting it out in the bathroom before my hot shower…still sticky! The next day I took it right from the jar solidified and rubbed between my fingers until it melted…still sticky! I haven’t tried it again since. I’m thinking it was the microwave that made it sticky??? Right now I buy homemade soap for bathing, etc. But that is also costly. We recently bought a couple of goats for our kids and one will be ready to milk last fall so may have to try making my own soap. However, with the homemade soap I also use tea tree oil diluted with water once a day on my face. Since it is anti-bacterial, it keeps my face clear of pimples and oil. I make a body scrub with epsom salt, olive oil and scented oils. My husband and son are in construction and love it for their hands. Iwas spending $28.00 for Arbon scrub so I researched and found this to be pretty close to the same for about $5.00 a jar thats includeing the cost of the jar. can’t wait to try your facial scrub. I’ve been thinking about starting a beauty regimen with natural products lately. Thanks for the recipes. I can’t wait to try the scrub! It almost sounds too yummy to waste on skin! I have read that some folks use lemon juice or avocado on their skin and hair, but I haven’t tried them yet. Maybe this weekend I’ll give it a go. You are the woman. The end. I was just thinking about doing the same thing last week. Great minds think alike!